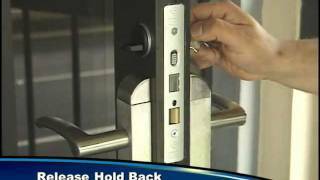 When selecting the door lock that will best suit the needs of your application, the first and most important thing to consider is the security that the lock will provide. All locks on the market are divided into three categories determined by the standards set by ANSI (American National Standards Institute). Each lock is graded according to security and operational tests created to determine their appropriateness for certain applications. In order for a standard door lock to meet grade 1 standards it needs to withstand 800,000 door cycles, six door strikes as well as a 360 pound weight test. 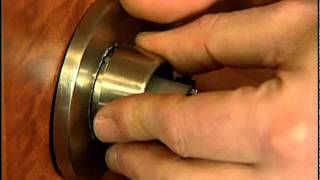 For a deadbolt to be graded for this level, it will need to withstand 250,000 cycles and 10 door strikes with a hammer. Since these locks fall into the category of having the greatest safety and durability standards, they are recommended for use in commercial applications and will definitely offer the greatest security for your business or other application. 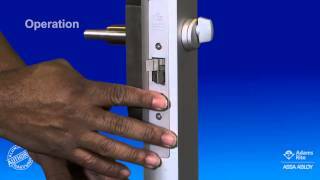 Locks that meet grade 2 standards are subject to a test of 400,00 door cycles. 4 strikes to the door and a 250 pound weight test. 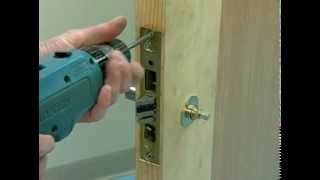 Deadbolts will need to pass a test for 150,000 cycles and 5 strikes to the door with a hammer. Grade 2 locks are usually not secure enough for most business, however they meet or exceed the needs and requirements for most apartment buildings and other residential applications. While grade 3 locks are lowest level according to ANSI standards, they still need to be of substantial quality to meet even these requirements. They are therefore generally recommended for secondary entrances in residential applications. These door locks need to pass a test of 200,000 cycles, 2 door strikes as well as a weight test of 150 pounds. Deadbolts are subject to a test of 100,000 door cycles and 2 hammer strikes to the door. 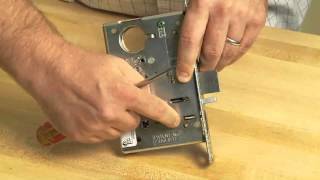 Once you have determined which grade lock is appropriate for your door there are other factors to take into consideration such as the lock function, door size, and of course the style and finish of the lock. Every lock in the Qualified Hardware selection, is clearly detailed with the relevant information to assist you in making the right choice. With a simple description of the lock function as well as the necessary measurements and sizes provided in an organized manner, you will have no trouble choosing the perfect lock. So begin your search, and we hope you have an easy and positive experience throughout. We are here to help and look forward to hearing from you and helping to guide you to the right decision.